While I gear up for a very horror filled October, enjoy another set of Good Bad Movie Moments. What could it be? Too easy. 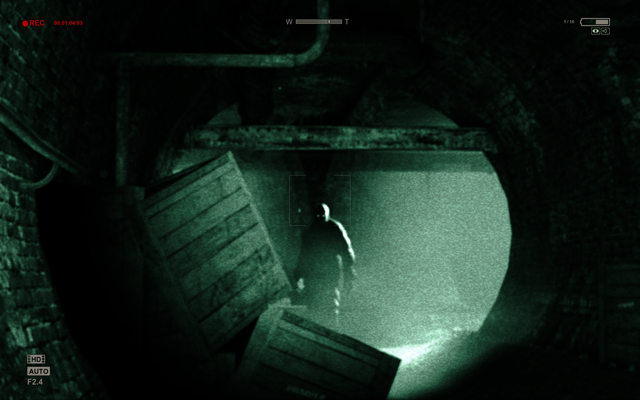 Outlast – Survival Horror that is Genuinely Scary! After a busy couple of weeks, I had some free time so I wanted to play a game I had been looking forward to for quite a while. I saw this game at PAX earlier in the year and have been eagerly waiting for it to come out. Not only do I like horror movies but I enjoy horror games. Now, most horror games aren’t really scary. They have some jump moments but nothing really bad. This is something else. While yes it does have an occasional jump scare, the overall atmosphere is what makes it scary beyond that so when something really horrific happens it is so much worse. It kind of feels like a mixture of Manhunt and Silent Hill 2. It’s PC only as of currently. I have Grand Theft Auto V coming in a day or two but I don’t know if I will be able to pull myself away from this.